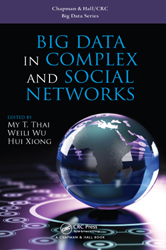 This book presents recent developments on the theoretical, algorithmic, and application aspects of Big Data in Complex and Social Networks. 3.1.1 What is a Social Network? 6.2.2 Why Rumor Spreads so Fast?